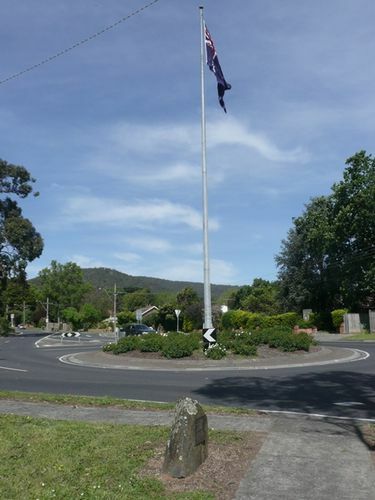 A flagpole commemorates the bi-centenary of the arrival of the First Fleet in Australia. The Bicentenary marked the 200th anniversary of the arrival of the First Fleet in Sydney in 1788. Captain Arthur Phillip (1738–1814), commander of the First Fleet, established the foundations of a British colony at Sydney Cove on the 26 January 1788. Councillor H. R. Lupton, O.A.M. J. P.
Councillor P. K. Maley J.P.